These events take place in the Meditation Room at Atisha Kadampa Meditation Centre, 81 Victoria Road, Darlington, DL1 5JQ – please see the timetable for times. The Guru yoga of Je Tsongkhapa combined with the practice of his Dharma Protector, Dorje Shugden. By relying upon this practice, we can purify negativity, accumulate merit, and receive blessings. In this way, we shall naturally accomplish all the realisations of the stages of the path of Sutra and Tantra, and in particular we shall attain a very special Dharma wisdom. Also through this practice we overcome obstacles to our practice and create favourable conditions so that we can nurture and increase our Dharma realisations. 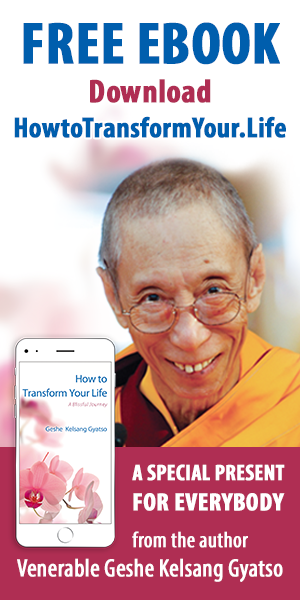 These two practices are the very essence of the New Kadampa Tradition of Mahayana Buddhism. Chanted once a month on the 29th. This extensive prayer to our Dharma protector Dorje Shugden is a powerful practice and its result is to overcome difficulties in spiritual progress and to protect sincere practitioners from future difficulties. Takes place twice a month, on the 10th and 25th. By relying upon Je Tsongkhapa, our compassion, wisdom, and spiritual power naturally increase. In particular, because Je Tsongkhapa is an emanation of the Wisdom Buddha Manjushri, his faithful followers never experience difficulty in increasing their wisdom. There are many other benefits from practising Offering to the Spiritual Guide. Prayers are held every month on the 8th. Includes a special prayer to the Twenty-One Taras, is performed regularly at Kadampa Buddhist centres worldwide. Buddha Tara is a female Buddha who rescues us swiftly from mental problems and physical dangers in the same way as a mother cares for her children. She provides us with all the necessary conditions for our spiritual training, and she guides us and inspires us with her blessings as we progress along the spiritual path. Are for those who have recieved Highest Yoga Tantra Empowerments. Is for those who have died recently. It is a very peaceful and uplifting method of helping our friends and relatives who have died to go on to a beautiful and peaceful experience. Are taken on the 15th day of each month at 6.30am. This is a one-day purification practice where we eat one meal – lunch at 12.30pm – and refrain from any other food. It is also a time to refrain from negative thoughts, speech and actions. Marked each year with special prayers. Three sessions are held on 15th April, for more information please get in touch.